There is something for everyone here at Destiny! We think every day is special in and around Destiny Church, we just love the journey we are on together. But perhaps you are wanting to visit the church and take a look, or visiting Scotland with work or vacation, or simply looking for encouragement and input. Maybe you have questions and searching for answers? We always have a fantastic programme coming up, with something for everyone. Take a trip and come and visit us – you won’t regret it. We have an amazing three weeks of Healing Meetings planned all over different area’s in and around Glasgow. This is going to be a great outreach opportunity but it’s also going to be an amazing few weeks where God is going to move and we are going to see many miracles, people healed and coming to know Jesus. 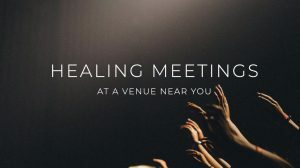 Check out the full list of healing meetings here. 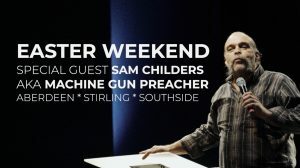 We have the amazing Machine Gun Preacher returning to visit Destiny Church for our fantastic Easter Sunday Celebration! This is a free event for everyone, so make sure you invite all your friends and family to come and hear his amazing story!